When it comes to dementia and brain function, my recommendations usually involve getting more exercise as well as trading in fatty, sugary foods for fresh fruits and vegetables. But there’s one sweet treat that boasts high levels of the antioxidants that help power up your brain. What is this secret health delight? Hot cocoa. Over the years there has been a lot of great news about cocoa and cocoa-rich dark chocolate. Research shows it protects against stroke and heart disease, improves blood sugar, lowers LDL cholesterol and raises HDL. In fact, it benefits the entire cardiovascular system. Now we’re learning those benefits extend to your brain health. You see, a new study shows drinking just two cups of cocoa each day improves blood flow to your brain. And that extra blood sparks more brain activity. It might sound complicated, but the concept is pretty simple. You see, your brain requires a continuous supply of oxygen and glucose, which is delivered by blood, in order to function properly. If your brain cells are deprived of these nutrients (via lack of blood flow) it decreases brain activity. Once that happens, it leaves the door wide open for dementia, Alzheimer’s disease, confusion and memory loss. When I think of brain activity, it brings to mind a central processing unit (CPU) like you would find in a computer. When your CPU isn’t working right, it slows down processing. This makes it harder to pull up the files you need. It might hang-up when you need to save important information, so you end up losing that data. And when presented with more complex programs, it might lock up completely. That sound a lot like the kind of brain hiccups associated with memory loss and dementia, doesn’t it? Things like slow thinking, forgetfulness, memory loss, inability to retain new information and “blanking out” are all common in people who are losing brain function. There are many physiological changes that lead to these problems. 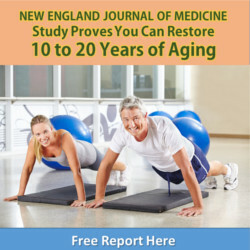 And a change in vascular health as you age is one of them. Simply stated, during the aging process your blood vessels tend to lose their elasticity and start to narrow. This, of course, decreases blood flow throughout your body, including your brain. So how does cocoa help? Some scientists believe it’s because cocoa contains phytochemicals known as flavanols. Flavanols improve the absorption of the nitric oxide from the cells that line the inner walls of the blood vessels. Nitric oxide helps smooth the muscle cells of the blood vessels to help them relax and widen. This increases blood flow throughout your body and kicks your brain activity into gear again. So it’s a win-win all the way around. You get to treat yourself to a tasty delight. And your brain gets a big boost of blood that increases mental activity and might just ward off mental decline. Now before heading out to store to load up on Nestle’s Quik, there are a few more things you need to hear about. When I was a kid growing up in Philadelphia I loved running into the house on a snowy day and finding a steaming cup of cocoa waiting for me. However, it’s not a habit that has followed me into adulthood. Back then my Mom would use either a powdered mix or gooey chocolate from a bottle. Then she would mix it with hot dairy milk and top it off with marshmallows. It was a sugar-fest! Needless to say, it’s something I don’t drink any more. But this new data is pretty impressive. An overwhelming amount of the people who had impaired neurovascular coupling at the beginning of the study showed an improvement in both blood flow and cognitive testing in just 30 days. And it started working within 24 hours. I’m intrigued enough that I’m thinking of ways to create a much healthier version of this chocolate treat. My first thought is to try unsweetened cocoa, or even raw cacao. Then I would replace the dairy milk with almond or rice milk and toss in a dash of stevia. However, it also occurs to me these same results could probably be achieved by indulging in an occasional treat of dark chocolate. Just 1.5 to 3.5 ounces a week of a high quality dark chocolate from Switzerland can deliver a hefty dose of healthy flavanols. Just make sure to look for a dark chocolate that is at least 70 percent cacao for the biggest benefit. In the meantime, there’s one thing that’s important to remember. Both cocoa and dark chocolate are high calorie treats. So if you decide to add either of them to your diet, it’s essential to cut a few calories elsewhere to prevent weight gain. P.S. Earlier I mentioned the flavanols in cocoa may help improve nitric oxide levels which help relax and widen your arteries. Scientists believe this may be one of the big benefits of cocoa and dark chocolate when it comes to increasing vascular health and improving blood flow to the brain. You can also get a big nitric oxide boost from citrulline. But it’s not easily found in the foods you eat. However, you can safely supplement with 1500 mg. of citrulline daily to improve nitric oxide levels and reduce your risk of dementia and Alzheimer’s. This entry was posted in Brain Health, Memory Health and tagged cocoa, dark chocolate, hot-cocoa on November 4, 2013 by Advanced Natural Wellness.